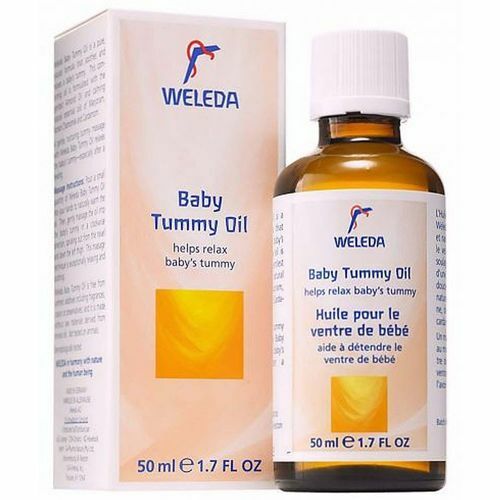 Weleda's Baby Tummy Oil contains several essential oils. Notes: Free of animal testing, synthetic additives including fragrances, colors, preservatives and raw materials derived from mineral oils. Ingredients: Prunus amygdalus dulcis (Sweet Almond) Oil, Fragrance (Parfum), Limonene and Linalool. Recommended Use: Pour a small amount of Baby Tummy Oil into your hands to naturally warm the oil. Gently massage the oil into your baby’s tummy in a clockwise direction, spiraling out from the navel and down the left thigh. This massage technique is exceptionally relaxing and soothing.